How is Crawford different from other boxers and what kind of fight are you expecting? POSTOL – “What differentiates Crawford from many other fighters are his skills and technical attributes. From a mental aspect he is a very clever boxer, always using his mind in the ring, changing stances, all the time adapting to different types of opponents. He has shown this in his previous fights. But that does not mean he is the best I have fought. I think Lucas Matthysse is a higher-level fighter than Crawford and everyone knows how my fight with Matthysse ended, with him knocked out and the WBC belt around my waist. Crawford vs. Postol takes place Saturday, July 23 at the MGM Grand Garden Arena in Las Vegas and will be produced and distributed live by HBO Pay-Per-View beginning at 9:00 p.m. ET/6:00 p.m. PT. Tell us about your fight with Matthysse and what that victory meant to you. VIKTOR POSTOL – “The fight with Matthysse was my most challenging because it was my first world championship fight and I was fighting for the title against one of the strongest punchers in the division. The importance of this fight for my career and my life was not lost on me. It was all I thought about during training camp at Wild Card. It’s all I ever wanted since I started boxing in a gym outside Kiev as a 12-year-old boy. The HBO Sports Special, Terence Crawford: My Fight, debuts Saturday, July 9 at 12:15 a.m. on HBO. Do you feel like the underdog in this fight? What would a win do for your career? 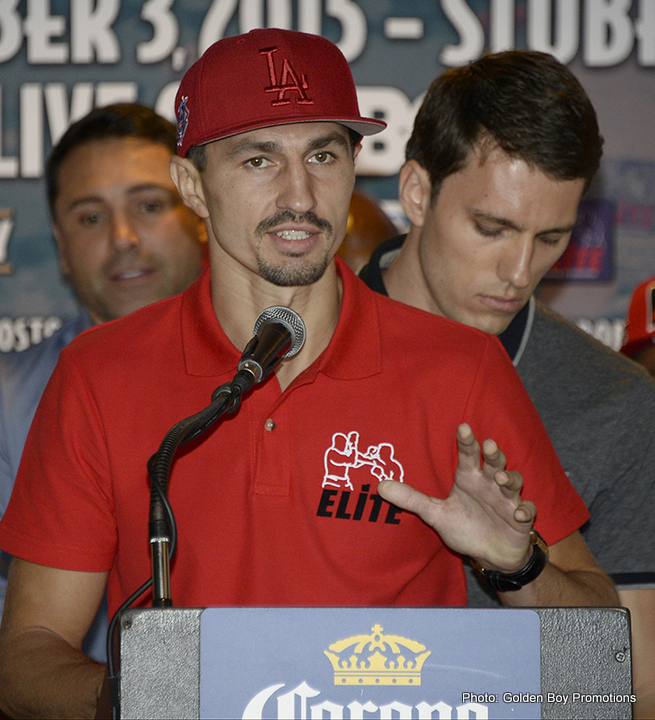 VIKTOR POSTOL: “I do not consider myself an underdog in this fight. Terence Crawford’s fans might consider me as the underdog but that does not bother me. I’m 100% confident in myself and in my victory on July 23rd and the reasons are simple. I work harder in training camp than my opponents because I have to. Because I want to. I have the best trainer working with me and his name his Freddie Roach. The HBO Sports Special, Terence Crawford: My Fight, debuts Saturday, July 9 at 11:15 p.m. on HBO.